The Cole Planet Jr. is a drill type seeder for planting small to large seed, spaced closely in the row. There is no spacing adjustment. 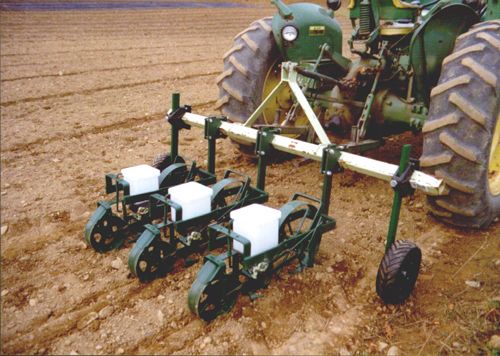 This planter is used to plant crops like spinach, carrot, beet, peas and other crops spaced closely in the row. 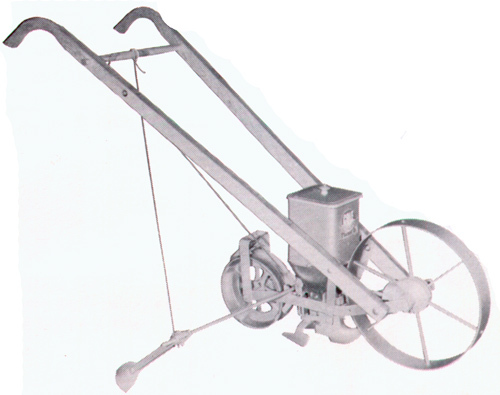 It operates like a funnel, spouting seeds in the row. The only adjustment is the size of the hole in the bottom of the seed hopper. It comes with 3 seed discs with 39 different hole sizes to choose from. The seed hopper is removable for easy clean out. This planter is available as a hand push planter, a one row or multi-row planter. 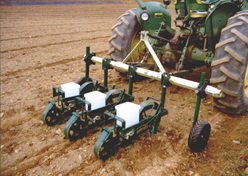 Multi-row planters can plant rows as close as 10" apart on single toolbars, and 5" apart on tandem toolbars. Priced from $0.00 per row.